Rather than a recipe today, I am here to share Vegan Food in Disneyland. If you have been following this blog for awhile, then you know I love all things Disney. 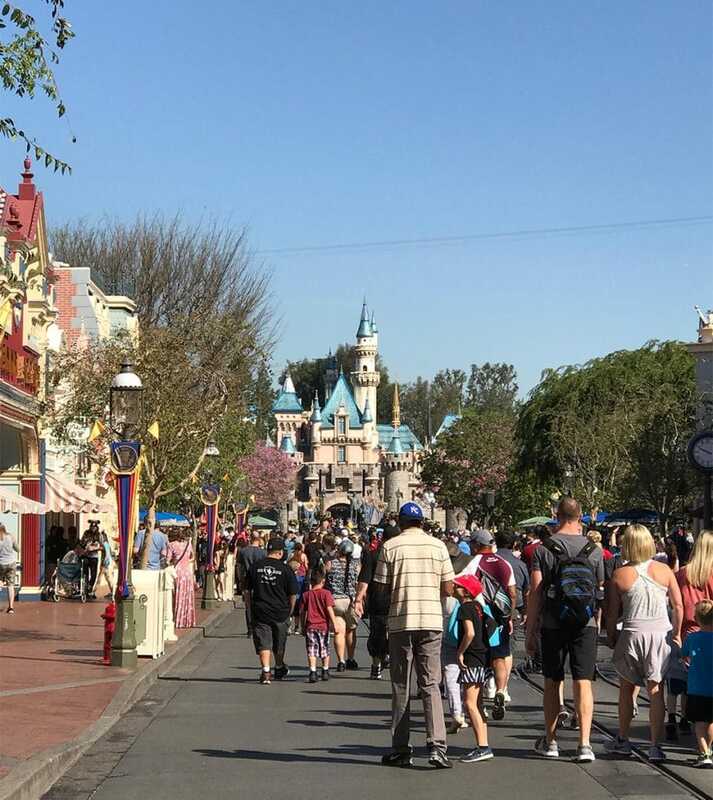 Recently I was able to spend a day at Disneyland while in Anaheim for the Natural Foods Expo. If you have ever thought about doing a solo trip to Disney World or Disneyland, I say go for it! I was a little nervous going by myself, but I had a great time! The weather was perfect too. About 85 degrees and sunny. In my backpack I carried into the park, I had a big hydro-flask, larabars and sunscreen. Water fountains are everywhere in the park, so it’s easy to re-fill your bottle for free. As an added bonus, the water at Disneyland doesn’t have the horrible aftertaste the Disney World water does. Yay! One big difference about Disneyland vs Disney World was that I didn’t have to make any reservations 180 days out. I also didn’t stay on property and still had plenty of access to Fast Passes. In Disneyland, you can get one Fast Pass at a time. Just put your ticket into a machine, and out pops a fast pass. Easy peasy! Not all the rides have fast passes, though. Here is a breakdown of those that do. The single rider lane is awesome too. I never had to wait on any rides. Since I had snacks, the first time I stopped for food was at lunch time. I left the park and went to Downtown Disney (located right next door and in walking distance. I ate at Naples Ristorante e Pizzaria. Even though it was table service, I had no problems getting served. I was seated right away. The waitress assured me that the pizza dough was vegan and even gave me some of the dough with olive oil instead of the bread and butter they usually serve guests. I ordered a personal pizza (which was HUGE), seriously. 2 people could have easily shared it. I chose mushrooms, onions and arugula as my toppings and skipped the cheese. I also had an sangria which was yummy. After that, I headed back to the park for more rides and Dole Whip. 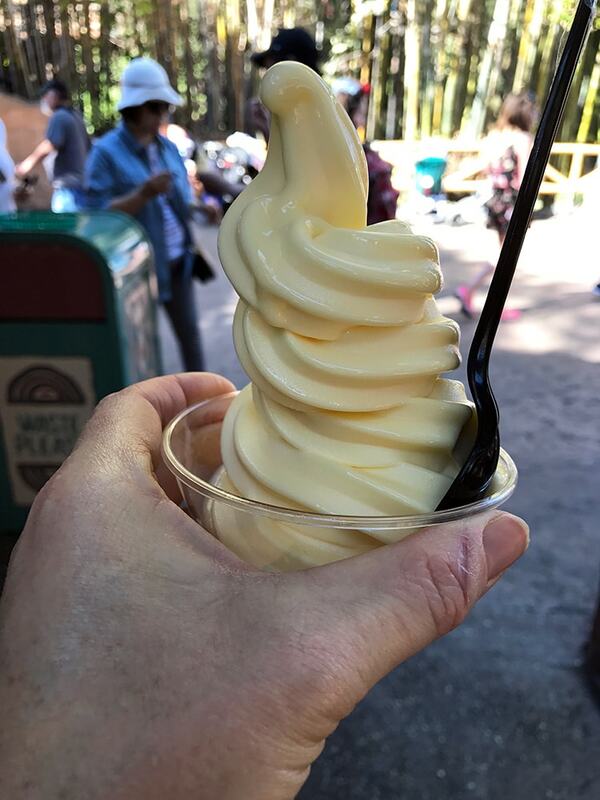 Dole Whip is a must for me at Disney. The line was long, but it’s worth it for sure. Plus it was so hot and it was nice to cool off. Disneyland is also a great workout! I logged over 26K steps and 175 active minutes on my fitbit that day. I really wish I had another day to enjoy California Adventure. 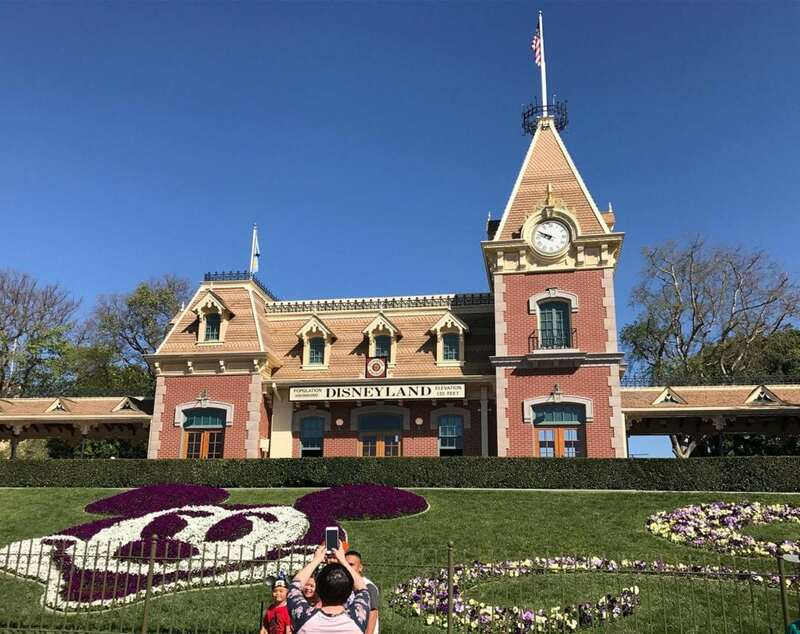 If you are going to come here for vacation, I think you need 2 solid days to enjoy Disneyland + 1 day at California Adventure. We plan on coming back with the girls summer of 2018. Looking forward to it! It really isn’t hard at all to find Vegan Food in Disneyland. 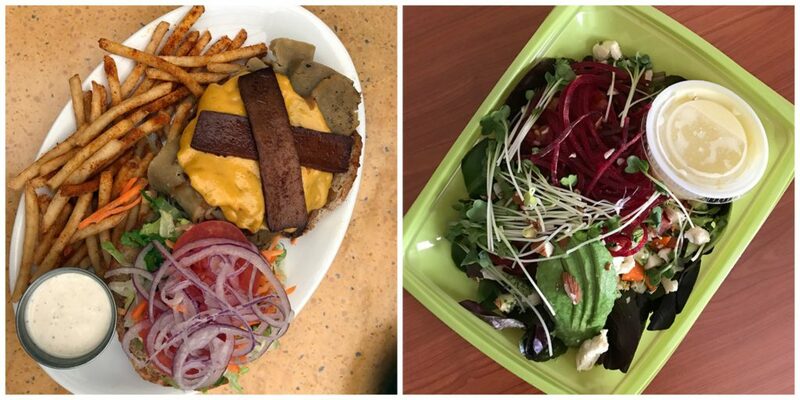 Since I was only there for 1 day and didn’t all the vegan eats Disneyland has to offer, check out this post and also this post for a complete list of all things vegan at Disneyland. I can’t wait to try more things next time! Lastly, anytime I am in California or Colorado, I have to eat at Native Foods. All their food is 100% plant based and organic when possible. There was one located in Costa Mesa not far from my hotel. I hope they come to Dallas one day. Their food is so good! I went there twice on this trip. The first time I got the Oklahoma burger, and the second time I got the OC Raw Chopper. Both were delicious. I was indulging the first time with the burger and fries and then healthier with their salad. You can see them below. I can’t wait to go back with my family. Definitely worth the trip. For more vegan travel tips, check out my Vegan Travel section of the blog. Looks wonderful Melissa It's nice to have such a great variety of vegan foods to pick from Your pictures made me hungry!! Just an FYI.. that dole whip is not vegan! 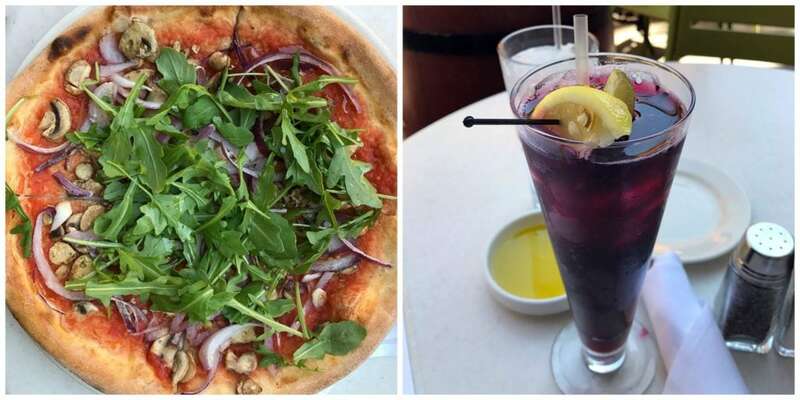 It has milk in it.. and you can go to the pizzeria next to space mountain and they do have vegan pizza with vegan daiya cheese.. they have Veggue burgers but not sure where? I think Most places you can swap out the meat for the veggie version. They have an Express kitchen at Naples where you don't have to do table service, but tables are available to eat your food. Thanks so much for linking up to my Disney post! I'm glad you had fun but super bummed to have missed you! Hope we cross paths again soon! so awesome! i hardly eat there it's so expensive and we always pack snacks but love that there are options!